The current vita carts have a 4gb limit. It's why the japanese version comes with two carts. Sony hasn't upped the memory of the carts yet? even for a "AAA" release? EDIT: btw on the back of both the asian english cart's it says "vitaTV compatible". 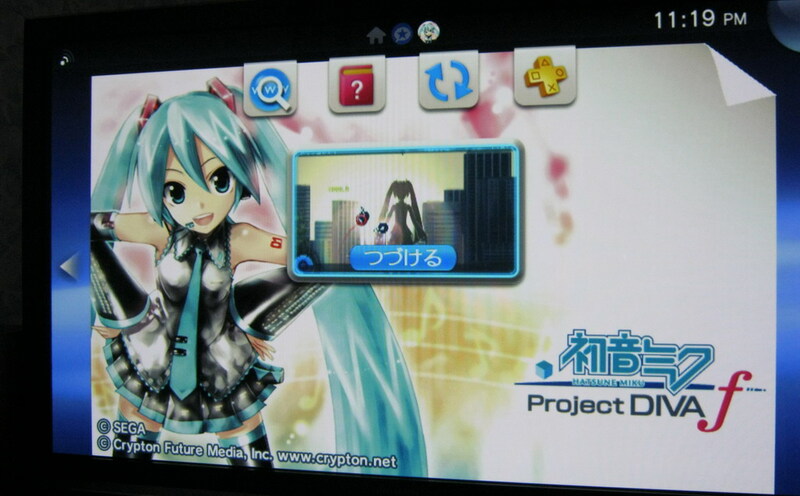 Hatsune Miku: Project Diva f (JP) launches now. I tested it on original digital PSN day 1 version without any DLC. Not sure if it became compatible with patch or firmware update, but you can't see original version in official compatibility list (there's only お買い得版). And touch functions doesn't work the same way as in PS3 version.. so it's a little tricky to play using native VITATV's R3/L3 touch emulation. Belmondo wrote: EDIT: btw on the back of both the asian english cart's it says "vitaTV compatible". Just tried FF-X and X-2 Asian English carts on vitatv and they don't work. They are my only games I own that actually say vitatv compatible on the back. Blazblue Continuum Shift Extend US cart works.